· External relations and partnerships: Continue to build and maintain strong external relationships, especially with the authorities and the institutions. Ensure good communication with the authorities on the evolution of our activities, our prospects, new plans. The HoM additionally ensures a good follow-up of the communication protocol at all levels, the drafting and signature of agreements and Memorandum of Understandings at central and regional levels.Humanitarian affairs, Advocacy/ Negotiation and Communications: Contributing to the MSF communication strategy. 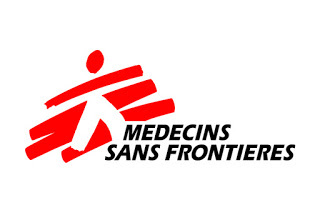 In collaboration with country and regional team, improve MSF’s advocacy capacity through increased engagement with relevant governmental and non-governmental stakeholders. Strategic and operational planning through 2019, 2020 and beyond: Initiating and leading the mission-wide operational strategy; including country policy, annual plan, budget and policy frameworks. Leading the management team translating the strategic objectives into operational activities. Monitoring developments in MSF’s general policies and strategies and adapting the annual plan of the mission accordingly. Programming: overseeing the mission’s programming to ensure effective and efficient design and implementation of MSF’s operations in Tanzania.